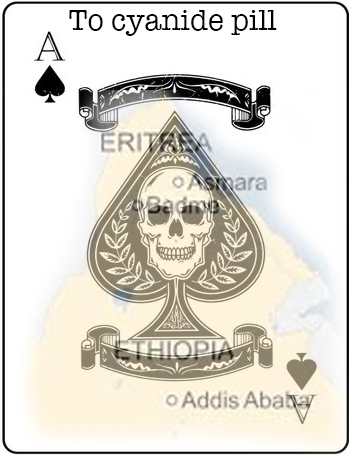 TPLF decided to kill two birds with one stone by launching a military attack on Eritrea. Ethiopians too, who had fought to preserve the unity of their country in the eyes of many. enemy’ caused the anti-Ethiopian tag to stick. in no position to either stand for or against Eritrean independence. threat to its ambitions of dominating the region. wear when parading in front of their destitute subjects. led Ethiopian government declared war and invaded Eritrea. 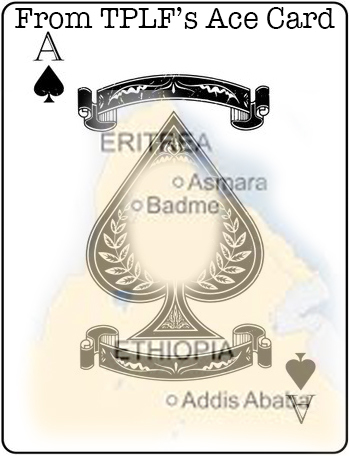 to break the ‘spine’ of Eritrea, to render it a quadriplegic for the rest of its days. a great deal more were maimed for life . Despite the TPLF’s claim of victory, it requested the UN to broker a peace deal with Eritrea. themselves on how well they played their ace card. high. It turned out that the Ethiopian Foreign minster, had not read the full decision. to come out to claim Badme as Ethiopian, as loss of Badme was not an option in his eyes. cared little for Ethiopia and Ethiopians. feeling the brunt of the effects. government with one that was more sympathetic to it. any precondition and as it should have been. in the middle of nowhere, holding onto what has now become a poisoned chalice to it. So why did the Eritrean government accept the olive branch extended by Prime Minster Dr.
government to relinquish its claim on Badme, so that the TPLF would not lose face. located in these regions, the Ethiopian government would not be able to lay claim to it. will happen, has never and will never be in doubt. the region for so long, but will not part take of it.